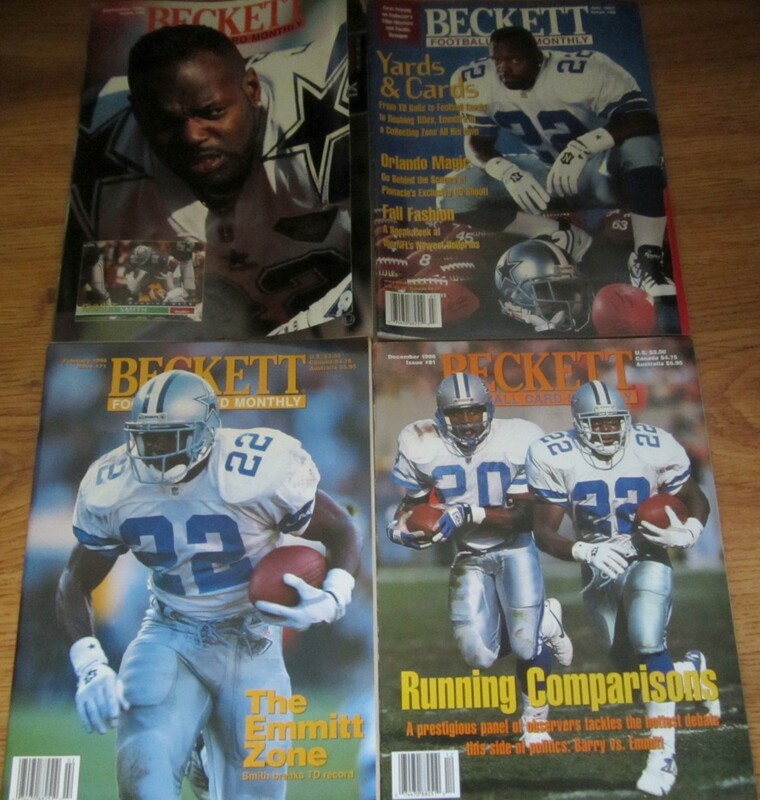 Lot of 4 different Beckett Football Monthly magazines featuring former Dallas Cowboys superstar running back Emmitt Smith on the cover (one also features Barry Sanders). All have minor to moderate flaws and wear. ONLY ONE LOT AVAILABLE FOR SALE.